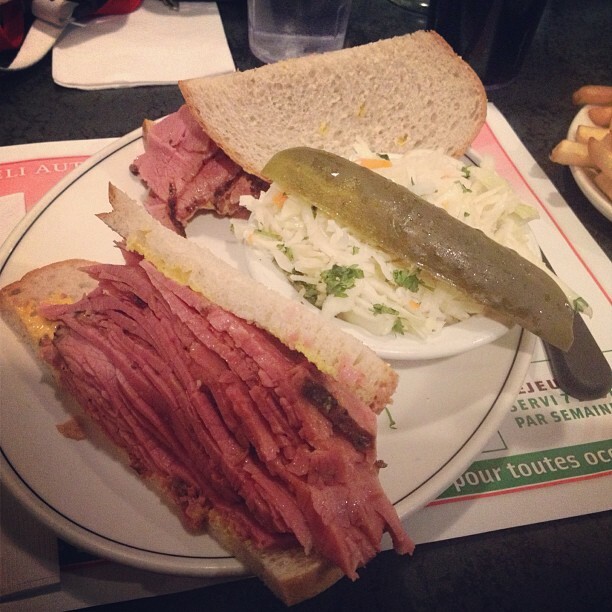 Jarry Smoked Meat is one of the rare spots that’s preserved its authenticity over the last four decades. 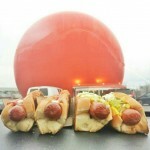 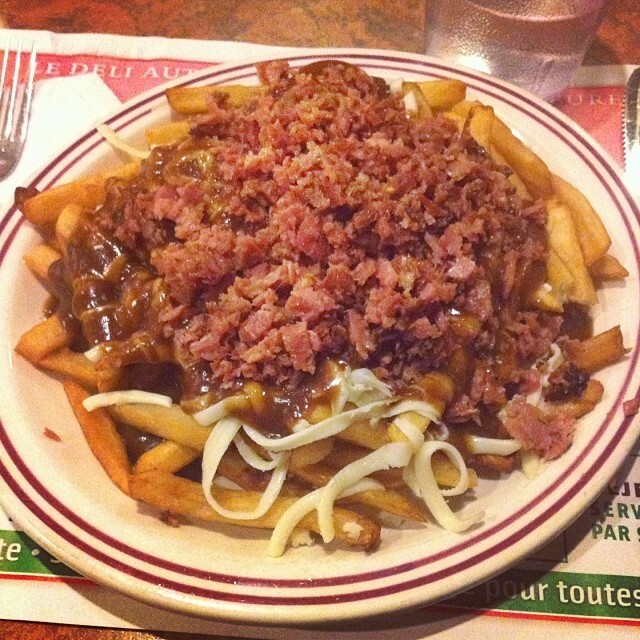 Situated in Saint-Leonard this 24/7 diner has been serving regulars and out of towers Grade-A smoked meat dishes as well as other savoury homemade comfort food dishes since it first opened its doors in 1974. 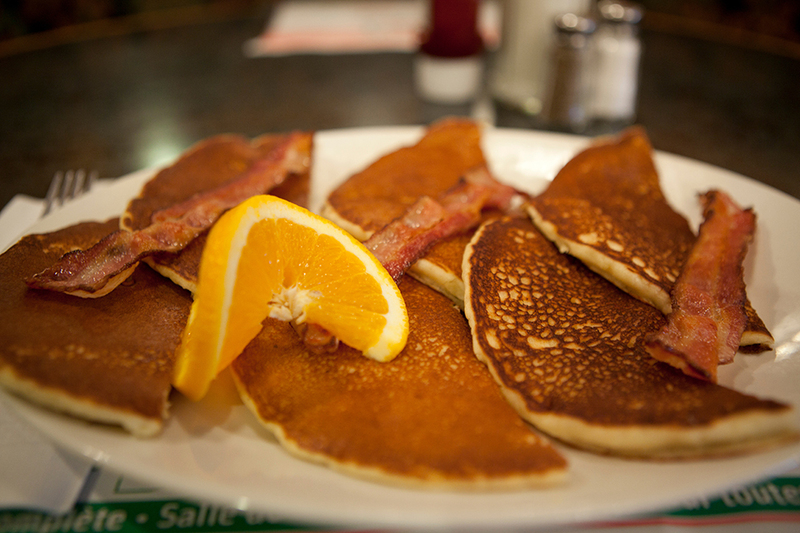 Club-goers, over-night workers, or anyone with a late-night itch looking for a homemade, late night meal are welcomed openly and graciously by a hard-working, friendly staff! 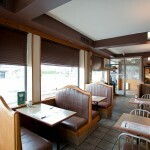 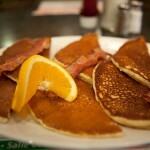 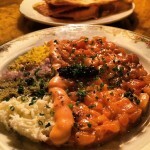 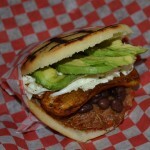 Jarry has preserved its authenticity through it’s menu, as well as its 70’s oriented décor and ambiance. 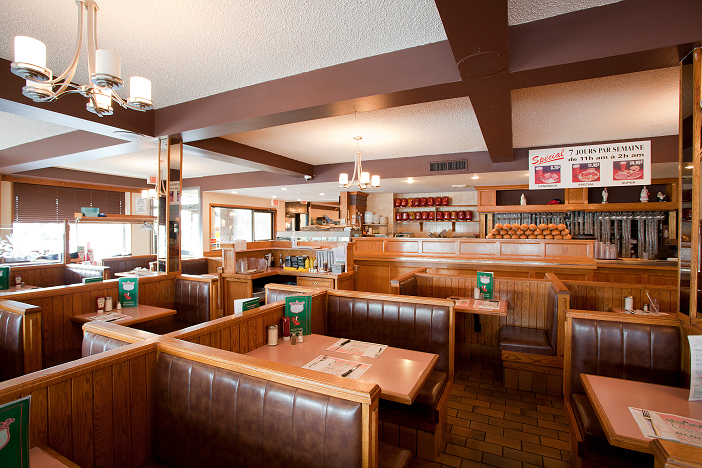 This little diner exhibits comfort and familial presence through a timeless display of upholstered booths, hanging yellow lamps, and wood paneled walls. 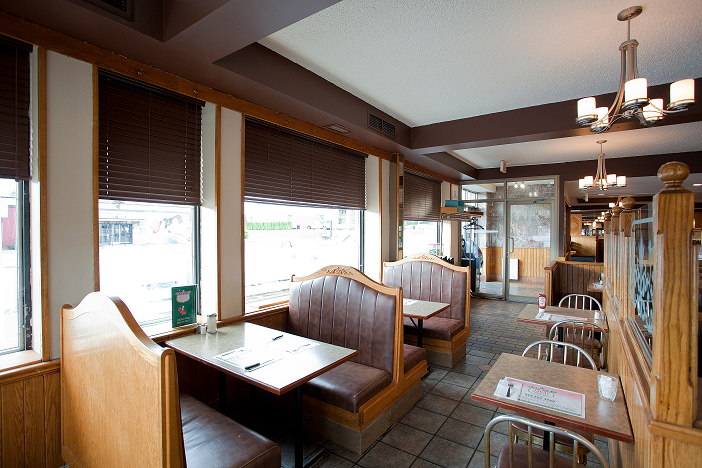 Owned by the same family since inception, Jarry is all about staying true to their clientele. 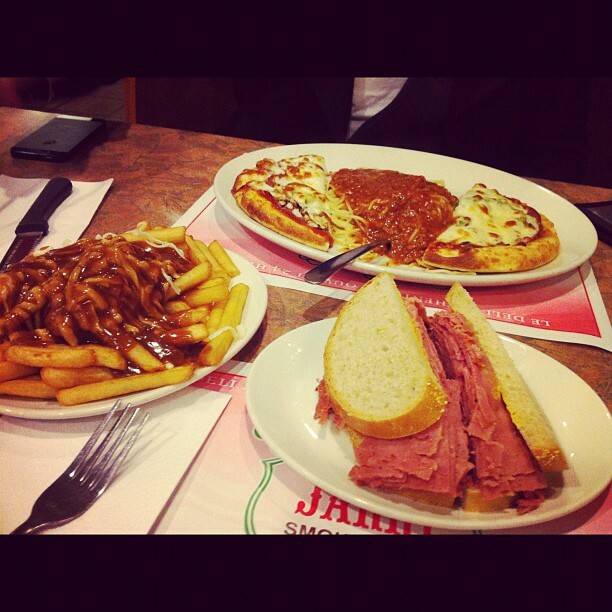 Jarry provides customers with a wide variety of menu choices, ranging from soups and salads, to souvlaki, club sandwiches, poutines and of course their well-known signature smoked meat sandwiches. 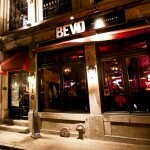 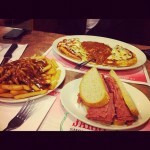 Must-try dishes include the famous Jarry Smoked Meat Poutine, and their Smoked Meat Pizza. 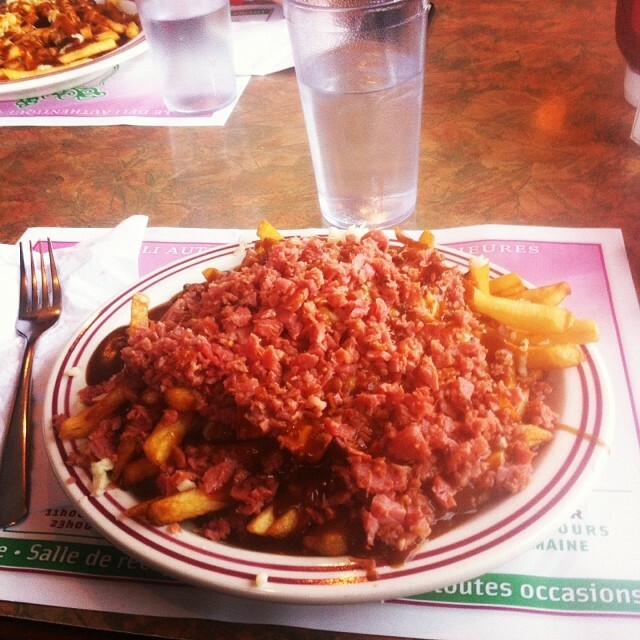 Whether you’re looking for a late-night munch after a frivolous escapade downtown, or whether you happen to be in the area looking to grab a quick midnight bite, Jarry is definitely worth the travel and visit!